How do we put the FRiYAY in summer you ask? With these Easy Mickey Mouse Cookie Treats and a new episode of Mickey and the Roadster Racers on Disney Channel! Everyone’s favorite Disney character Mickey and his best pals earn their roadster racer’s license in Disney Junior’s Mickey and the Roadster Racers! Now that the kids are out of school, it can be hard to keep them entertained, so why not spend your mornings with Mickey and pals?! My son has loved Mickey Mouse since he was a baby and Mickey and the Roadster Racers is his favorite television show right now. So his love of Mickey and the show sparked a fun treat idea I knew he would go absolutely crazy over! These Easy Mickey Mouse Cookie Treats were super quick and easy to make. Even the kids can have some fun helping you make them! 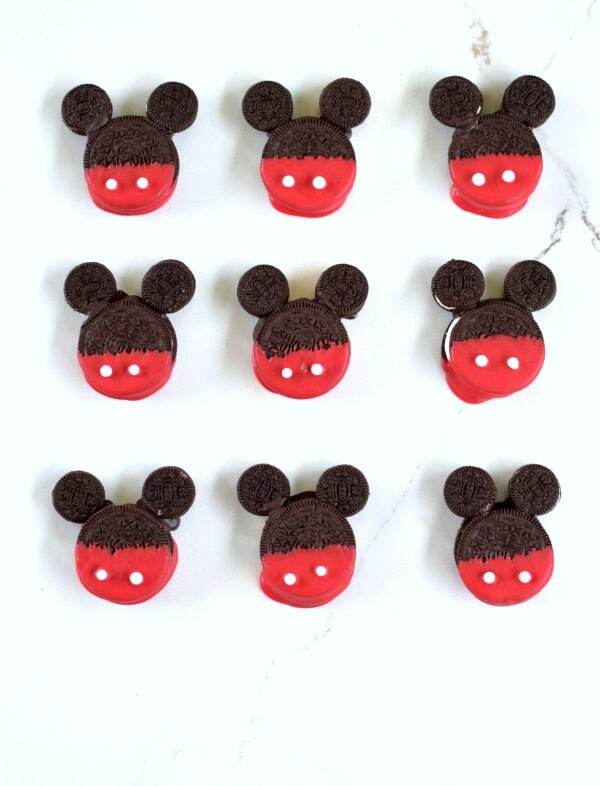 They are perfect to serve at a summer playdate or as party favors at your child’s Mickey themed birthday party! If you’re feeling really crafty, you can even make Minnie Mouse Cookie Treats too! Tune in to Disney Channel for all new episodes of your favorite Disney Junior shows every FRiYAY morning from 6 to 10 a.m. The series premiere of Mickey and the Roadster Racers kicks off on Friday, June 16, at 8:30 a.m. For more Disney Junior fun this summer, check out their page on Facebook to stay up to date! 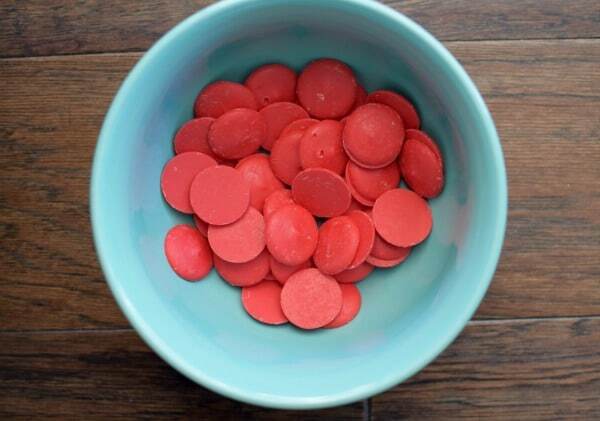 First, melt a hand full of red candy melts in the microwave for 30 seconds. I like to add a little vegetable oil to make it easier to stir, so it doesn’t harden quickly. 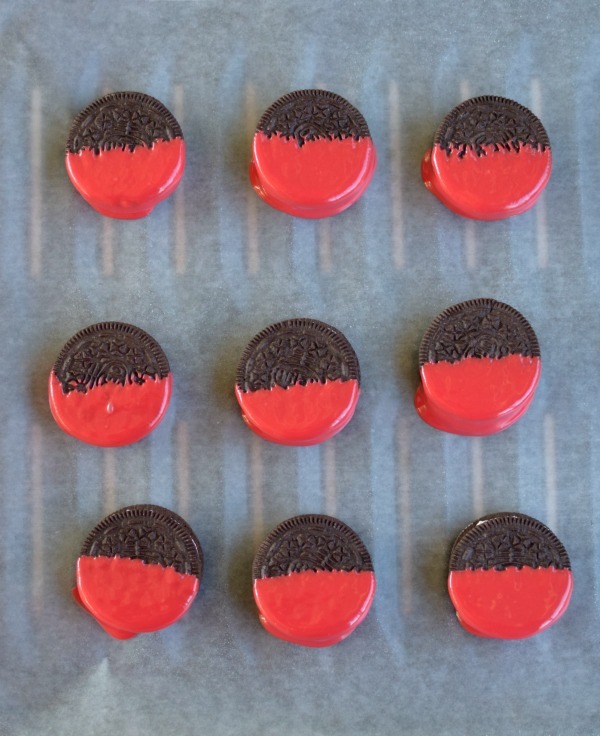 Next, dip half of your chocolate sandwich cookie into the red melted candy. Set the cookie on wax paper and add two white round sprinkles. Do this until you have the amount of cookies desired. Cool Cookies in the refrigerator for 10-15 minutes. Then take the brown candy melts and microwave them for 30 seconds. Take a small amount of the brown melted candy and place it on top of the cookie on each side for the ears (This will help them stick). 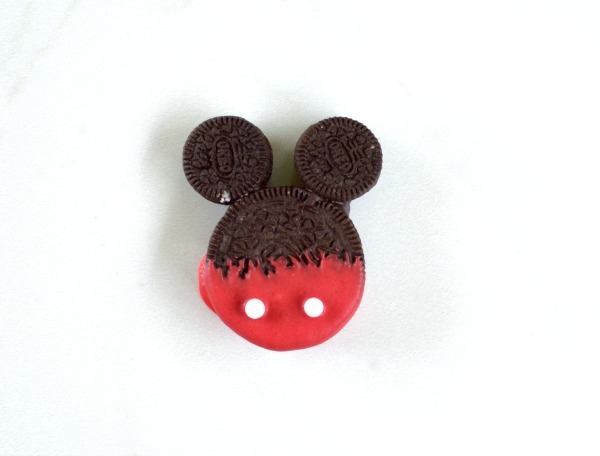 Add 2 mini cookies to make Mickey’s ears. 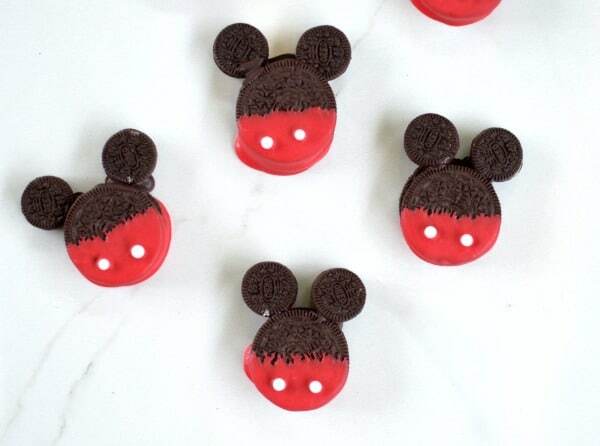 Refrigerate for 10 min and you have a super easy and fun treat for your little Mickey fan! 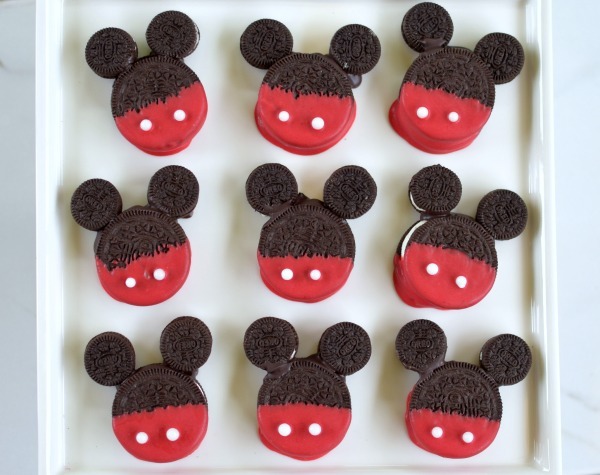 What do you think of these Easy Mickey Mouse Cookie Treats? Let us know in the comments below. This is a sponsored feature written by me on behalf of Disney Junior.